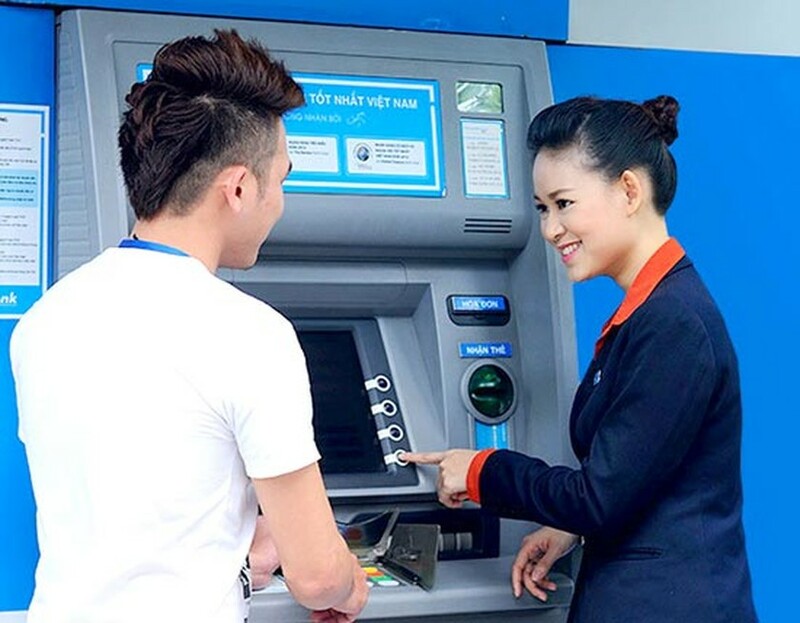 The rate of people having bank accounts is targeted at 70 percent of Vietnam’s adult pollution by 2020, reported the State Bank of Vietnam (SBV) this morning. The bank made the report at a conference to implement a project on improving the ability of banking service access of the economy in accordance with Decision or project 1276 by the Prime Minister. The project defines targets for the banking system to obtain by 2020. Of the targets, there will be at least 20 branches and transaction offices for every 100,000 adult citizens, 30,000 ATM posts or 40 posts per 100,000 people, 300,000 POS (point of sale) equipment or 400 POS per 100,000 people. About 15 percent of branches and transaction offices will be opened in rural areas, and 50-60 active small and medium enterprises will be access credit sources. According to reports at the conference, the country has so far had 9,787 branches and transaction offices, 16,937 ATM posts and 222,831 spots accepting POS payments. Over 60 credit institutions have launched internet banking service and 35 others provided mobile banking. Last year, the banking system’s total capital topped VND6,000 trillion (US$269.76 billion), accounting for 144 percent Gross Domestic Product (GDP). Outstanding loans reached VND4,660 trillion accounting for 111 percent GDP. Banks issued 99.52 million credit cards with the total credit card transaction value hitting VND230.6 trillion. Personal accounts strongly increased to 36.77 million, 15 times higher than the number in the previous year. Nearly 21 percent adult people in rural areas got bank loans. However, the SBV also pointed out many difficulties and challenges such as the low ratio of credit fee collection, the burden of capital supply for the economy which should be shared by the stock and insurance markets, citizens and businesses’ unequal access of banking services in different areas.